Posted By:Unknown | At:12:27 AM Be the first to comment! 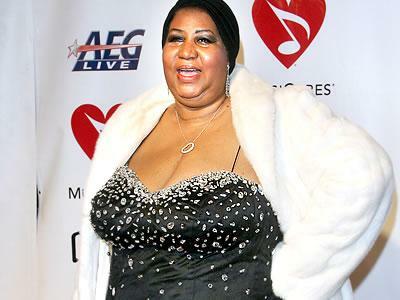 The Queen of Soul, Aretha Franklin, has canceled two free concerts in New York as she recovers from injuries she sustained in a fall. Franklin's office tells the Associated Press that the singing legend broke ribs in a fall on Sunday and is currently experiencing abdominal pain. Her shows, which were scheduled for next Monday and Thursday, might be rescheduled for late August, the AP says.